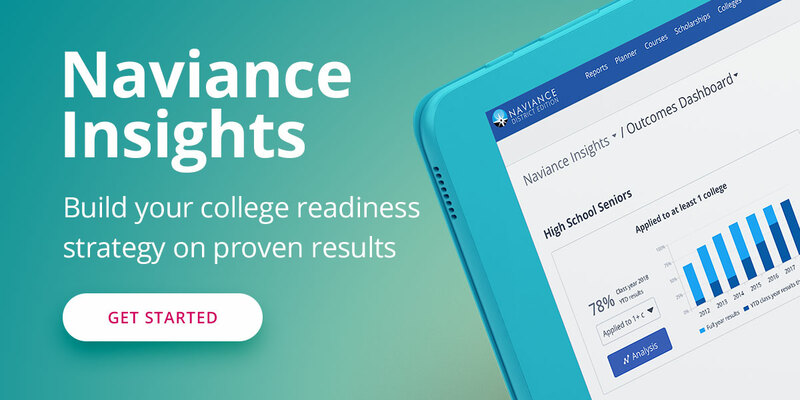 The 2014 Naviance Summer Institute wrapped up yesterday, with another 20+ sessions led by clients, partners, colleges, and Hobsons staff, plus the ever-popular Product Forum, an inspiring video from Roadtrip Nation, and the networking lunch. Here's a quick photo recap of the final day of NSI 2014. Rick Funk, Director of Undergraduate Admissions at University of Alabama, presents a session on the college's offerings. RTN roadtrippers interview NSI 2014 attendees, to find out about how they found their path in life. Dan Obregon, VP of Product Management and Marketing at Hobsons, presents the future of Naviance at the Product Forum session. Steve Smith, President of Hobsons K-12 and co-founder of Naviance, discussing district-wide implementation at the Networking Lunch. We want to thank all of our attendees for joining us for the 2014 Naviance Summer Institute and making it such a special time for sharing, learning, bonding, and rejuvenating! We look forward to seeing you again next year, this time in Tucson, Arizona. Want to join the fun for next year? Subscribe to the NSI e-mail list to learn about early bird discounts, speaker and session details, and other special promotions.